A truly awesome family boat, fully featured with all you'll need for that great day on the water with family and friends. Features include bow storage, polished alloy windscreen surround, forward hatch, non-skid floor, under floor storage, walk through transom, padded side pockets, bunks, bucket seats on sliders, transom back rest with rear lounge removable bin seats, grab rails, boarding ladder, 4 rod holders, pop up cleats, bow rail, bunk infill. 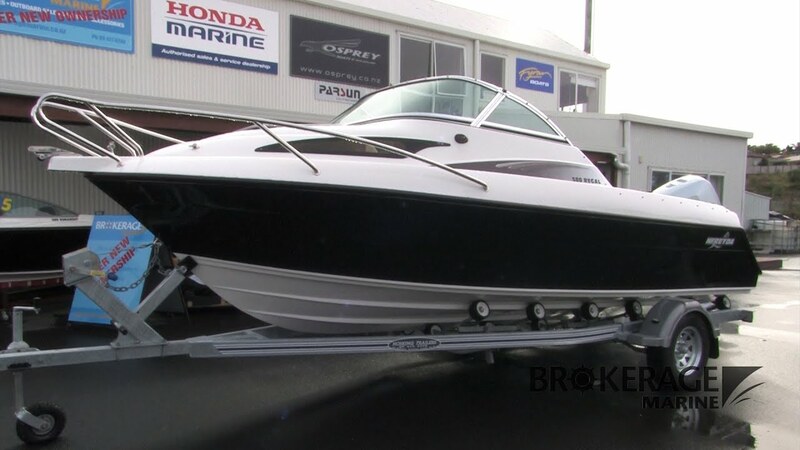 Premium Boat Promotional Video by www.clickplaypromos.co.nz , visit us to book yours now.